Personalized Homes Calendars Custom Printed in Bulk. Promotional, Very Inexpensive. Lowest prices in USA and Canada. "Early Bird" special! 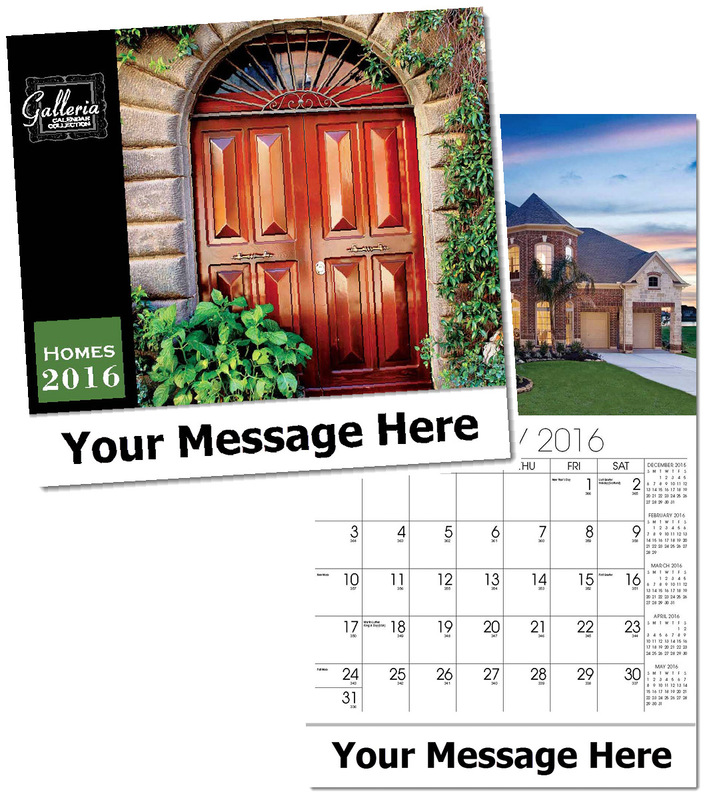 Bulk discount Homes calendars, personalized with your custom imprint . Lowest price in USA and Canada for wholesale promotional Homes calendars. Spectacular photos of one-of-a-kind homes will inspire all who see them. A daily countdown to yearend helps with planning. Monthly text provides seasonal information on home improvement and maintenance. Our high quality, low cost personalized calendars include both American and Canadian holidays. See our "Early Bird" deep discounts on our Price Table below. American clients pay no taxes. Free artwork design and free proofs!